Well everyone lives except Chikkara, and I’m pretty sad for her. I wish she had lived to hang out on earth and live happily ever after with everyone. I’m really REALLY happy Manny didn’t end up dying, or no one else. Ringo actually shoot down Jurgen. Cumpa died in one of the most hilariosu deaths ever. Wilmit actually didn’t die. No one good actually die. And yet the final battle was so tense and awesome. This is the best thing ever. 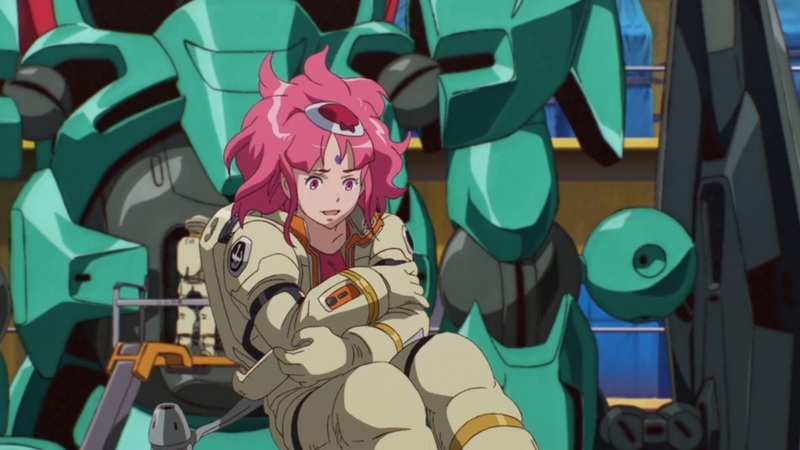 The epilogue IS fast paced, and Tomino did say he apologize for it being rushed at the event screening of the final ep, but that’s because it doesn’t have any reason not to. Idiots will say this show the show was rushed, but it really wasn’t. 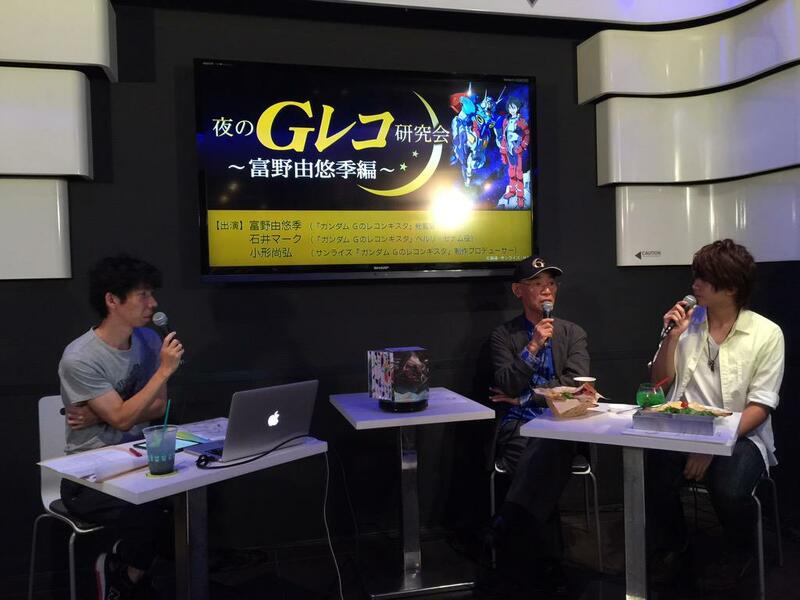 Tomino just wanted to show the things he had to show, that’s it. It would have been unnecessary to drag the epilogue, and the show has already shown since episode 1 that it expects you to use your brain to connects the dots. Even if some didn’t have lines, almost every character is shown in the epilogue doing something, hinting at what they’ll do next. That ending was perfect. Everything I wanted happened. Manny didn’t die and is happily living with Luin. Luin got over his hypocrisy as he finally defeated Bell. G Self got destroyed. Bell went to see the world. Aida became queen. Lowenthal& Kun joined the Megafauna… Everything is perfect. No pictures as I watched it live as I was really really hyped about how the ending would turn out and I was fully satisfied. I’m super hyped about the ending and had to write something now.Also I did quickly see some interviews before the show started, hence how I knew Aida would become a leader or her and Bellri beings siblings, but I was restraining myself while the show was airing. Time to check every side material and interviews and whatever now. Plus even if I love the show, unlike Pretty Rhythm, everyone and their dog are already translating everything so I just have to serve myself. I’ll probably end up double checking some things though. 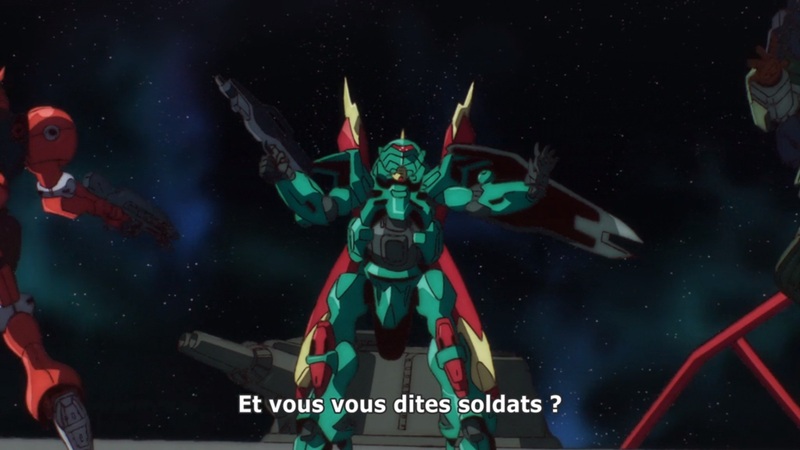 This entry was posted in Gundam G No Reconguista, Opinions on... and tagged Anime, Tsukame Puraido on March 26, 2015 by rockmanshii. I don’t like how Manny just gave up persuading Mask though. He just doesn’t accept the fact that he’s less competent that Bellri and tries to find (fake) reasons for it. She knows he’s wrong but she decided to go along with it anyway. This made a bit unhappy, but then right after Mashner going singing crazy disney villain was hilarious. And then Kun and Chikara’s interactions were hilarious. 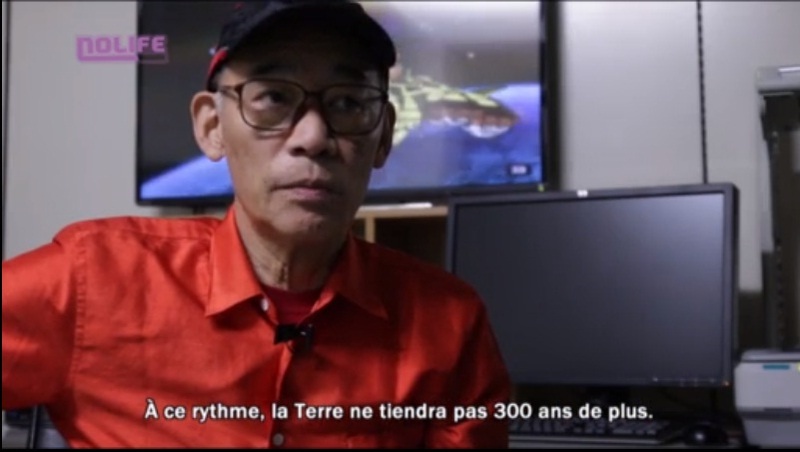 I just knew Tomino would use Chikara’s workout to show how they’re unaccustomed to the Earth gravity so it made me really happy when it happened. And that “aaaah so this is war” was hilarious. And then Ringo using the situation to cling to Raraiya was hilarious too. If only this ep could have been the last one, with everyone hugging each other during atmospheric entry and going on earth and living happily forever after. The scenes with Luin x Manny and KURIMU NIKKU x MIKKU JAKKU were perfect. Also I really thought they’d go full everyone dies there and make the Megafauna gets shot down. I guess Aida will be the one the make people stop fighting since she’s supposed to become queen and all. If she manages to find a solution while they fight before anyone dies it’ll be perfect. 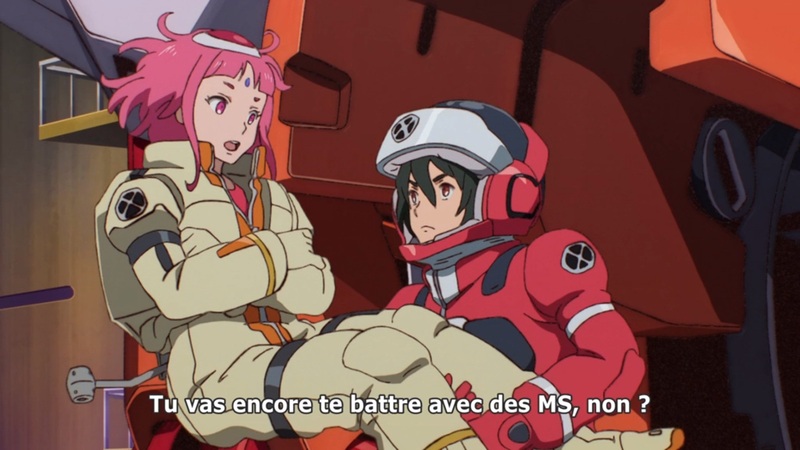 I really don’t want to but Klim will probably bite it next week… I also really really REALLY hope Bellri doesn’t push the “main character in gundam must kill his rival’s love interest” button inside the G Self’s cockpit. I’m sick of this pattern. Final episode, how many people die and how they die will be a huge aspect to determine if this show is a masterpiece or not for me. I’m really tense for the final episode. 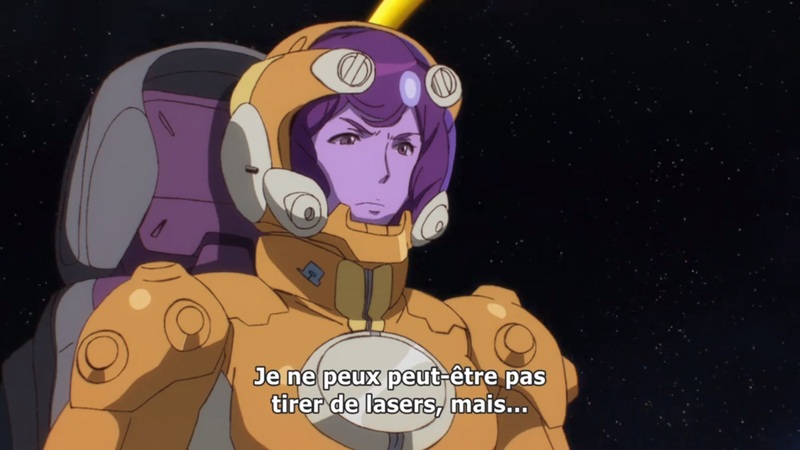 This entry was posted in Gundam G No Reconguista, Opinions on... and tagged Anime, Tsukame Puraido on March 20, 2015 by rockmanshii. 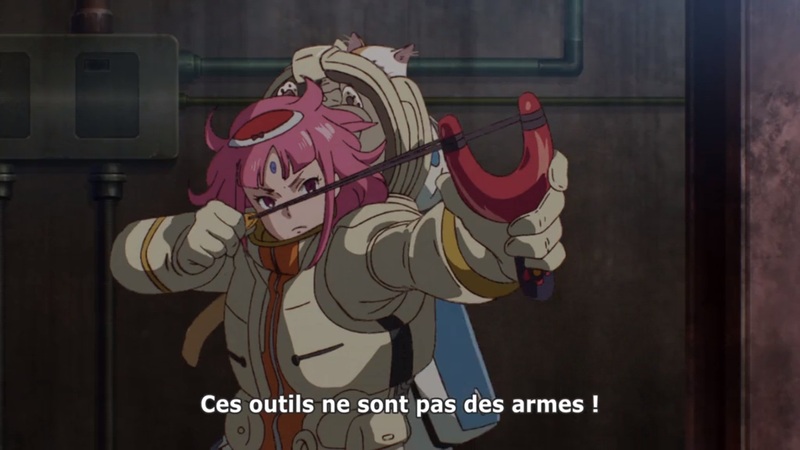 I didn’t think the day would come when Noredo would be ultra cool with her slingshot à la Nina in Rose Guns Days. AND DAT CAT. 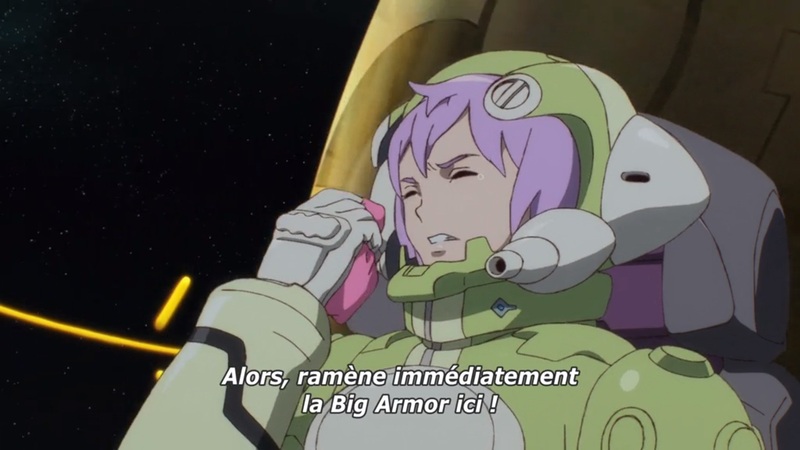 This entry was posted in Gundam G No Reconguista, Opinions on... and tagged Anime, Tsukkame Puraido on February 20, 2015 by rockmanshii. So the sewing woman is called Annette. I really like her for some reason. She doesn’t seem to care about anything. She just sews their suits and live her life. Even in the ED among the women she’s the only one not looking particularly genki. She just doesn’t care about anything. Really nice how they actually mentioned she fixed the hole in Bell’s pilotsuit made by the syringe. Most shows wouldn’t have brought it up. It also served as a way to show some Aida x Bell too. 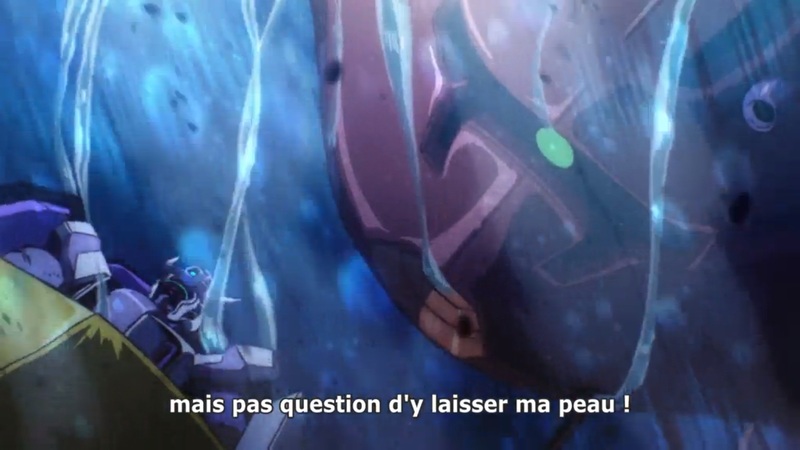 That’s also one of the reasons why Gundam Yugioh Tsubasa no Go Fighters was my favorite show of 2014 with Rainbow Live. 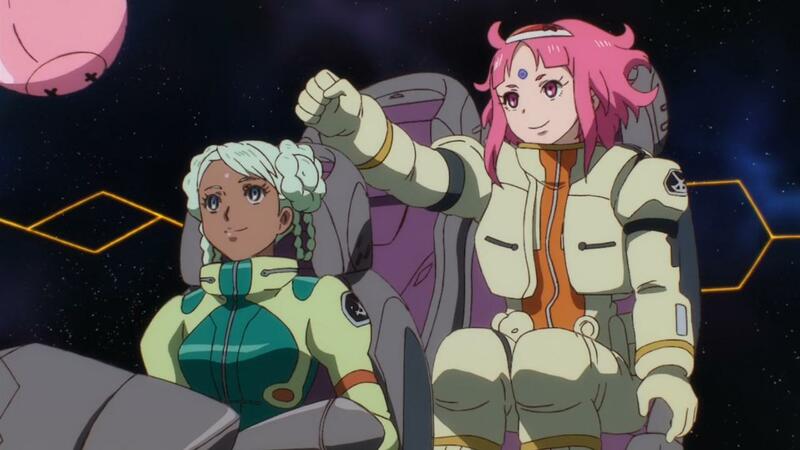 It was a breath of fresh air just like G Reco. 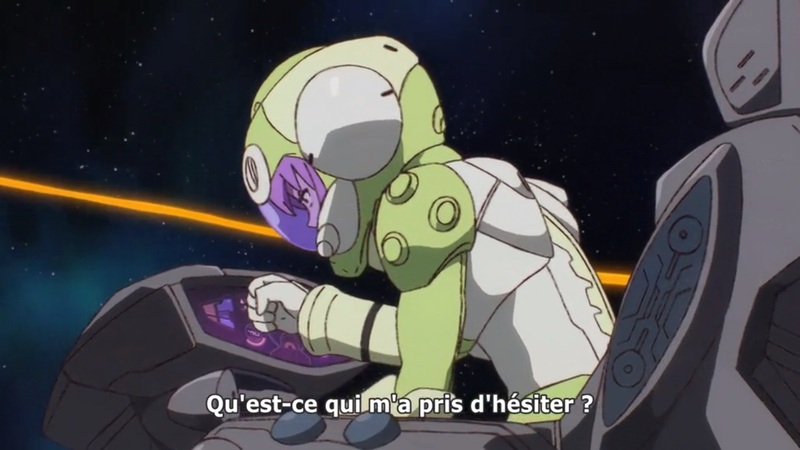 Bell almost killing himself in space this week trying to get into the G Self is the reason why they showed us the spatial localization in space training thing last episode. Else this scene or all the talk about the Venus spheres being gigantic and stuff would have been harder to get. Because you’re a good girl and even though there’s human bombs in this episode, (sasuga Tomino, I haven’t seen Zambot 3 yet but I know this much thanks to SRW) you couldn’t ruin the GENKI and kill off a character now. I guess she just didn’t want to needlessly kill someone. Actually if I saw correctly she did off a few of the police MS, but at distance. Maybe it’s actually her first real battle. 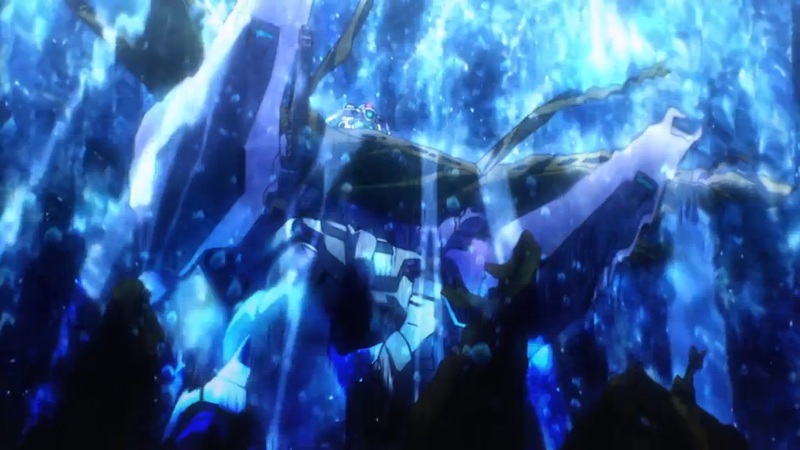 And actually hearing Raraiya’s screams since she wire-rocket punched her made her react like so. She was crying because of her mistake too. Man Kun is cute. Chikkara too. 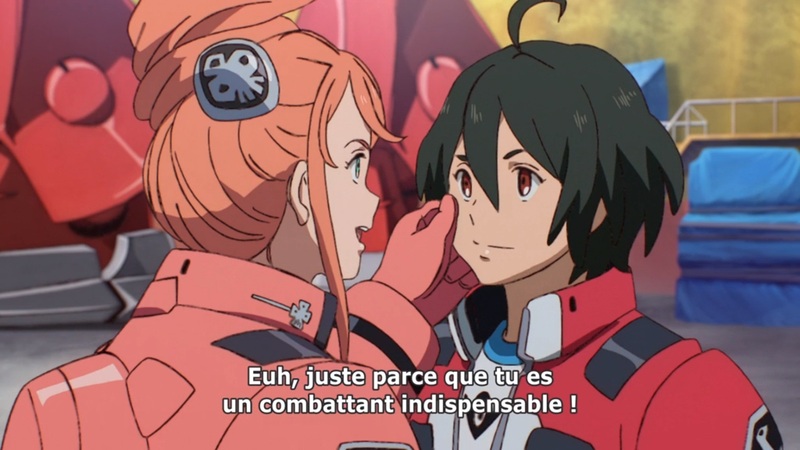 inb4 people going “Tomino is sexist, because Kun failed and she’s the one acting girly and putting on make up, while Chikkara who acts manly was awesome sabering stuff while Kun just cried over her mistake.” Well, that’s not true! Chikkara is super girly too. She must take real good care of her hair. My sides. 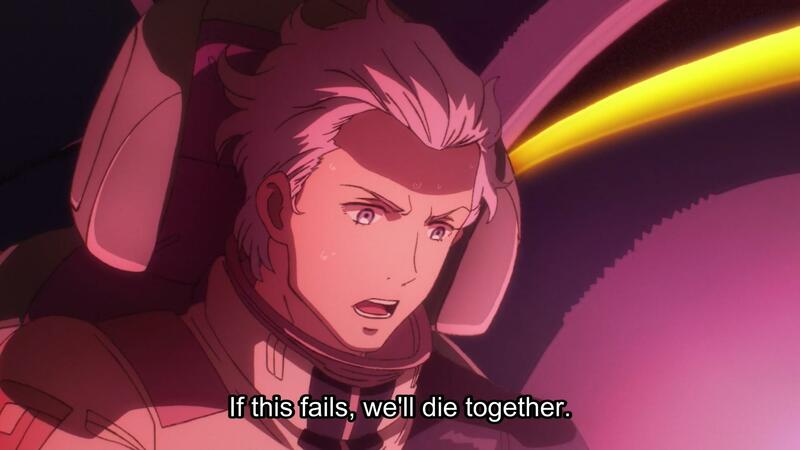 Plz Tomino give Kerbes and Ringo an happy end and don’t make them die. Why is Kerbes such a bro. Why Ringo’s hair is so gorgeous? The only hair beating Chikkara’s hair and Bellri/Aida parents hair is Ringo’s. 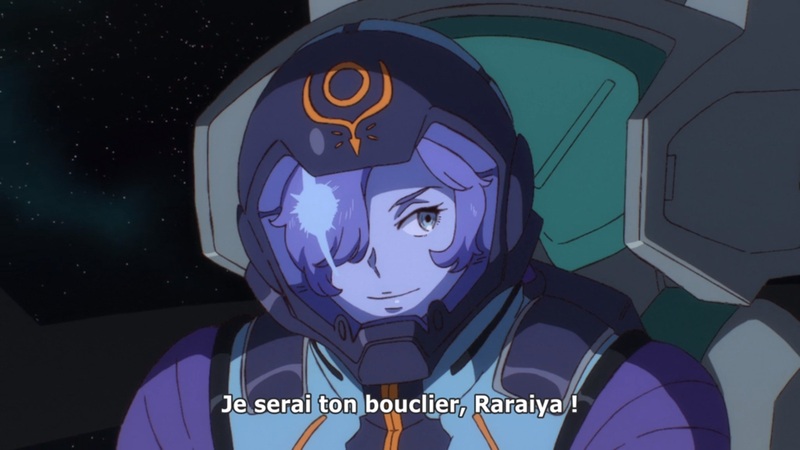 How Raraiya puts back Ringo back in place telling him she went to Earth alone makes me realize Raraiya is probably the most experienced out of the three. At the very least she’s just as good as them. Raraiya didn’t get to talk with Flaminia yet because of the fight, it’ll happen next week surely. This week’s episode left us with such a cliffhanger. 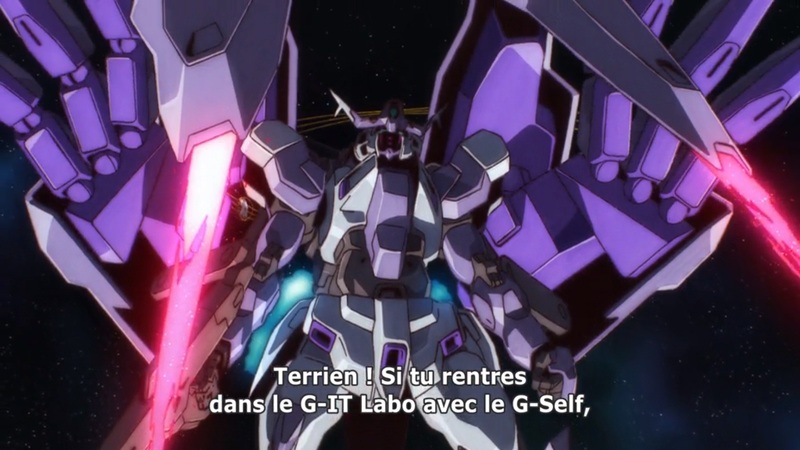 Gaen with tons of sabers and stuff sure is cool, it’s gonna be so awesome if G Reco gets in SRW. Really looking forward to next week for the rest of the fight. Also I really liked how they did the stomping cheer thing again. 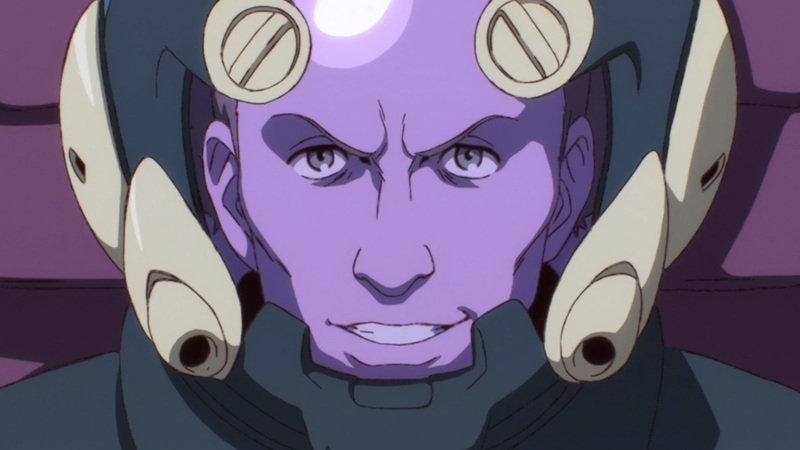 This entry was posted in Gundam G No Reconguista, Opinions on... and tagged Anime, Tsukkame Puraido on February 13, 2015 by rockmanshii.